Join the Tequila Club to show your passion and support for the Husky Marching Band and Cheer Squad. 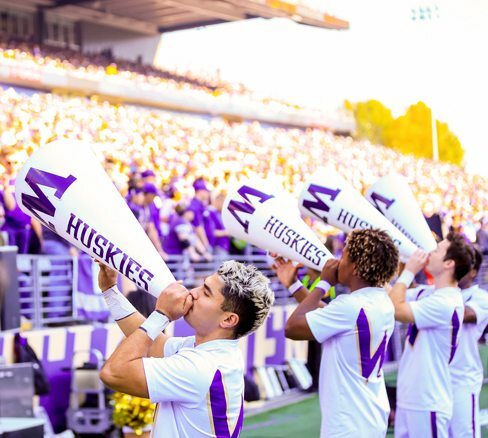 Your provides us with the resources we need to recruit the most talented musicians and the most dedicated cheerleaders, and to ensure they have everything they need to drum up spirit among Husky fans and our community. When you donate, you become an instrumental member of this nationally-recognized program supporting 240 band and cheer squad members. All gifts are tax deductible and qualify you for Tyee Club annual member benefits! Or surprise us with a gift of your choice! – The cost of one uniform is $575. – The average GPA of a Husky Band member is a 3.3. – The smallest instrument in the band, the piccolo, costs more than $1,200. – The largest instrument in the band, the sousaphone (aka “tuba”), costs more than $6,000. – Each member will march over 36 miles each football season.